St Chad’s College Choir represents a wide cross-section of the College, welcoming undergraduates, postgraduates and members of staff alike. We also welcome singers from other Colleges. The Choir’s primary function is to sing at College Chapel Services during term time (Choral Eucharist on Sunday morning and Tuesday evening Choral Evensong with some additional services for festivals and seasonal events). The range of music is vast, with settings by Byrd and Palestrina through to Stanford and Howells. In addition, the Choir is privileged to sing in Durham Cathedral, usually once each term. The College’s annual Advent Procession in the Cathedral is undoubtedly a highlight in this respect; the annual celebration of St Chad’s Day is another. 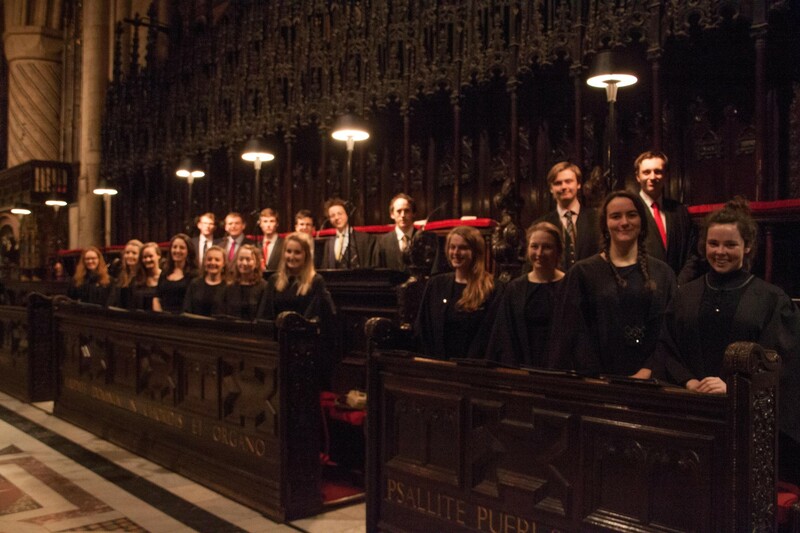 The College values its Choir and choral tradition highly and provides it with many opportunities to play a full and central part in the cultural life of the College. This includes regular concerts and recitals in the chapel and beyond. CD recordings have been released from time to time to mark the ever evolving membership and continuing success and development. 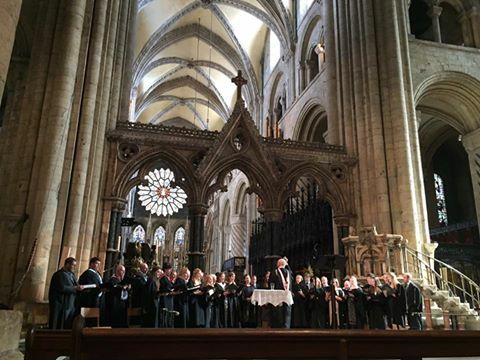 We are keen to see the choir representing the College in our local community through outreach projects in Durham City and within the wider region. The Choir tours regularly: recent tours have visited Chicago (2018) Jersey (2017) Amsterdam (2016), New York (2015), Prague (2014), Paris (2013) and Rome (2012). The Choir consists of approximately 24 singers, most of whom are informally auditioned though some previous experience of singing in a choir is desirable. There is a total of 16 Choral Scholarships and 2 Organ Scholarships available each year. Scholarships available for new students will be advertised. Scholars are selected by application and formal audition. These scholarships are funded through gifts from St Chad’s alumni and friends. The Choir rehearsing in Durham Cathedral. Choral Scholars are expected to play a full and central role in the life of the Choir. In addition to singing at the various Choral services in Chapel, the Choral Scholars will also be encouraged to take an interest in the broader Choir picture, including concerts and tours, social events and outreach. As such Choral Scholars need to be enthusiastic and committed. The rehearsal, service and concert schedule, typically has three slots each week. Nevertheless there are some easing-off points, and there is ample time for the well-organized to pursue their academic studies fully as well as to involve themselves in more wide-ranging activities. In return, the College provides each Choral Scholar with an annual scholarship. 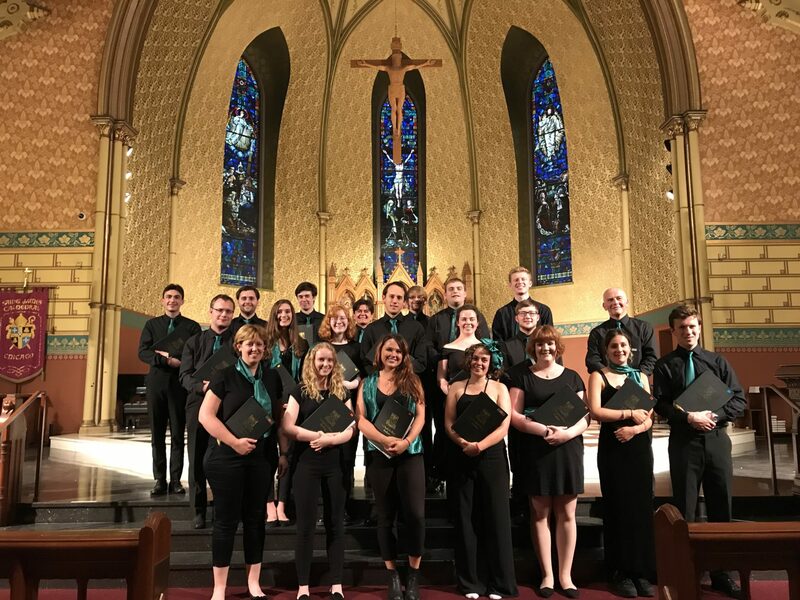 Choral Scholarships are reviewed each year, and may run for anything from 1 to 4 years at the discretion of the Musical Director and Chaplain. Auditions consist of a short solo piece or choral extract, a range test (such as everyday warm-up scales or arpeggios), and sight reading. The potential for choral blend and motivation as a team-player are factors which are also considered. Priority is given to Chad’s students, but if a choral scholarship is not awarded there is still, most probably, a possible place for you in our choir! Potential applicants should click here to find out more about applying. The College offers 2 Organ Scholarships. The Scholar is appointed by the Principal on the recommendation of the Musical Director and College Chaplain, and is responsible to the Chaplain and Musical Director. Play the organ, in rotation for services in the College Chapel and be present for all rehearsals of the College Choir. Deputise for the Musical Director and College Organist as necessary. Sing in the Choir when not playing the organ for concerts or services. Have regular organ lessons with a teacher approved by the College who will be asked to report to the College on the Organ Scholar’s progress each term. Applicants should be a skilled organist, ideally with a sound knowledge of Anglican church music. Applicants should have a working knowlege of Anglican liturgy, and be enthusiastic about traditional and non-traditional styles of music and worship. Applicants should be a team player with a flexible approach and able to work with a diverse ecumenical group of lay and ordained students and staff. The College is a Church of England foundation and successful applicants will be comfortable working in such an environment. This is an excellent opportunity for a dynamic, energetic church musician, eager to learn from others and acquire new skills. Total remuneration will comprise of a mixture of organ lessons (with an approved teacher), music allowance and stipend. Precise details will be arranged with the successful applicant. Potential Applicants are encouraged to contact the College Chaplain for further information. Information about applying to be a scholar is available here. Decani in the choir stalls of Durham Cathedral before the annual Advent Procession, December 2015. 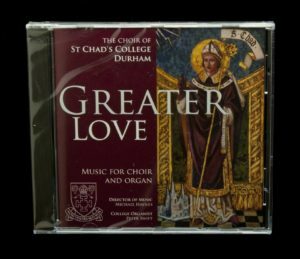 The Choir’s CD recorded in 2015 under the direction of Michael Haynes, then Director of Music. Available from College Reception or for order by phone. Music list for the current term is available here.